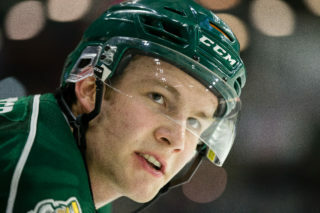 EVERETT – With two home games under their belt to start the 2012-13 WHL season, the Silvertips will now open their road schedule with a pair of away games this week. The ‘Tips visit the Tri-City Americans tomorrow and the Vancouver Giants on Friday, with all three teams looking for their first wins of the young season after opening weekend. Everett will need to get comfortable playing on the road early this season, with nine of their next 11 games coming away from Comcast Arena until late October. 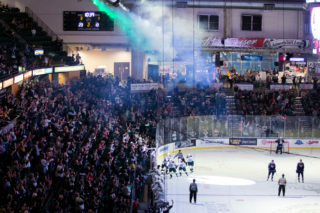 The Silvertips’ only two home games in that stretch are both against the Americans next Wednesday, October 3, and on Sunday, October 7. The ‘Tips travel across the state tomorrow for their first U.S. Division contest of the season against Tri-City at 7:05 pm the Toyota Center. When you include last year’s first-round WHL playoff series, the two teams faced one another a total of 12 times last season. The Americans will be looking to get on track Thursday after opening last weekend with home losses to division rivals Spokane and Portland. Thursday’s game can be heard live on Fox Sports 1380 AM with pregame coverage starting at 6:30 pm. 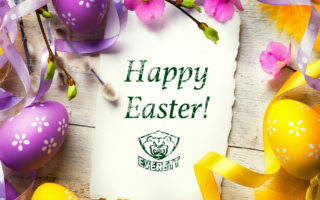 Everett will then head north on Friday to visit the Vancouver Giants, who are also off to an 0-2 start after dropping both legs of a home-and-home series against the Victoria Royals last weekend. 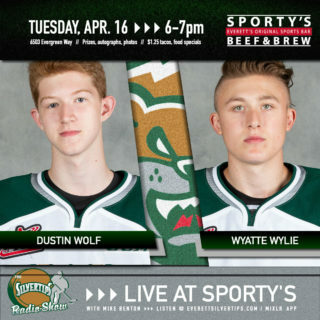 The Silvertips and Giants played a very close season series last year in which five of six head-to-head games were decided by just one goal. The ‘Tips won the last two of those games and lost another in a shootout as their long-standing rivalry with their B.C. Division neighbors continued. Opening faceoff is set for 7:30 pm, with pregame broadcast coverage beginning at 7:00. 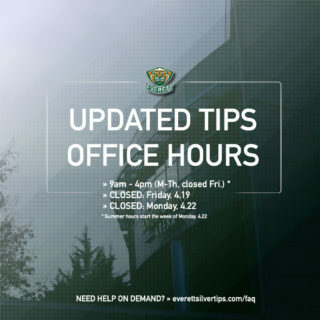 Live streaming video of all Silvertips road games is also available online through WHL Live, an On-Demand service offering individual games, season packages and archives of every WHL regular season and playoff game!